OYO's Rivals RedSox vs Yankees special collection brings these two teams together to battle for AL East supremacy. 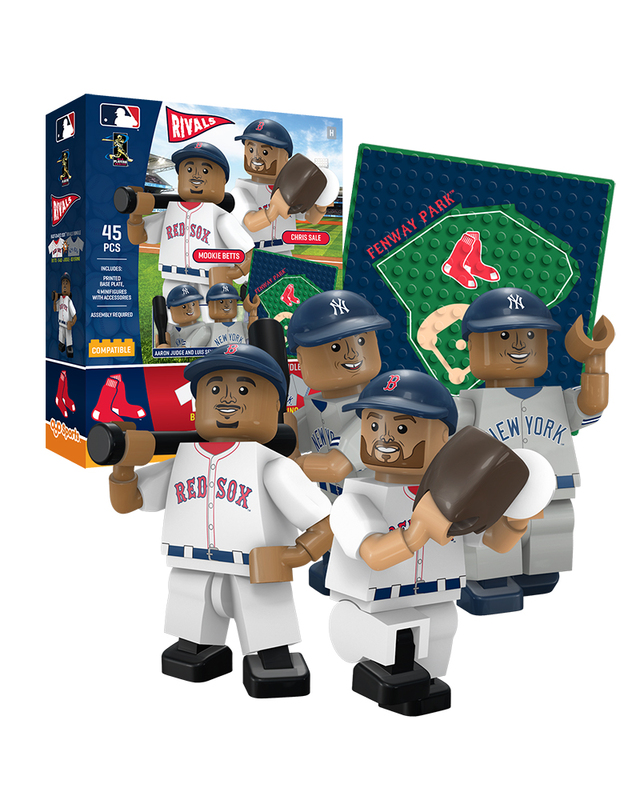 You get 4 OYO genuine minifigures, and a unique ballpark display plate in each boxed set, while saving over 25% versus the individual pricing. Each Rivals set has Aaron Judge, Luis Severino, Mookie Betts and Chris Sale. The RedSox are the home team, and get the home uniforms, while the Yankees are visiting in their road uniforms. This Rivals set features the debut of the ROOKIE OYO minifigures of Luis Severino, the Yankees pitcher quickly becoming a star! The set comes with a special Fenway Park display plate, on which your collection can stand or recreate some fun between these rivals. A fun way to continue your imaginative play between these two great teams! 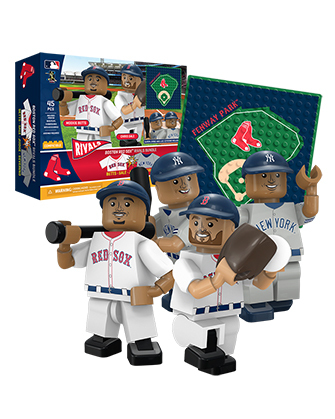 Your minifigures are created to look like Chris Sale, Mookie Betts, Aaron Judge and Luis Severino! Accessories: Authentic team uniforms, hats, bats, gloves, and baseballs. I bought these as a gift for my nephew and he is going to love them!